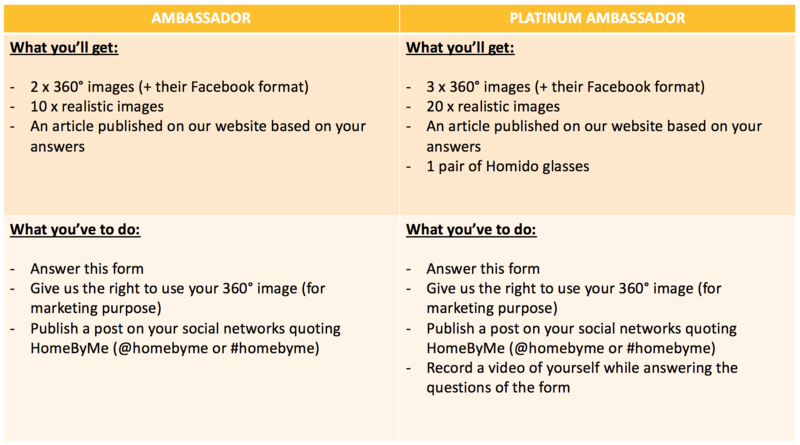 To become an Ambassador, all you have to do is tell us a little bit about your project and how you use HomeByMe. Answering this survey will help us tell your story! By answering, I hereby give Dassault Systèmes S.E. and any and all of its affiliate entities (hereafter ”3DS”) the right and permission to fix, record, reproduce, represent, display, publish, adapt in whole or in part, my image, my name, my position and my words, exclusively for communication and/or marketing purposes. Such authorization is granted without any compensation whatsoever, worldwide, for any use whatsoever known or hereinafter created and for a perpetual duration subject to locally applicable rules and restrictions.